Low carb stuffed peppers are one of my favorite meals. 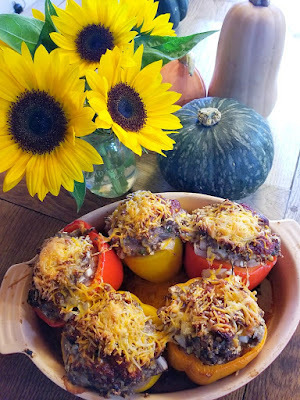 Bell peppers make such a tidy receptacle for a stuffing made of ground beef, vegetables, and cheese! I make these almost every week and often pack one in my lunchbox to take to the office. This is one of those easy, delicious low carb recipes that fits perfectly into my keto diet. Use any vegetables you have around—I particularly like using spinach and cauliflower rice. My secret ingredient is prepared spinach artichoke dip, which is made with cream cheese and serves as a perfect base to hold everything together. 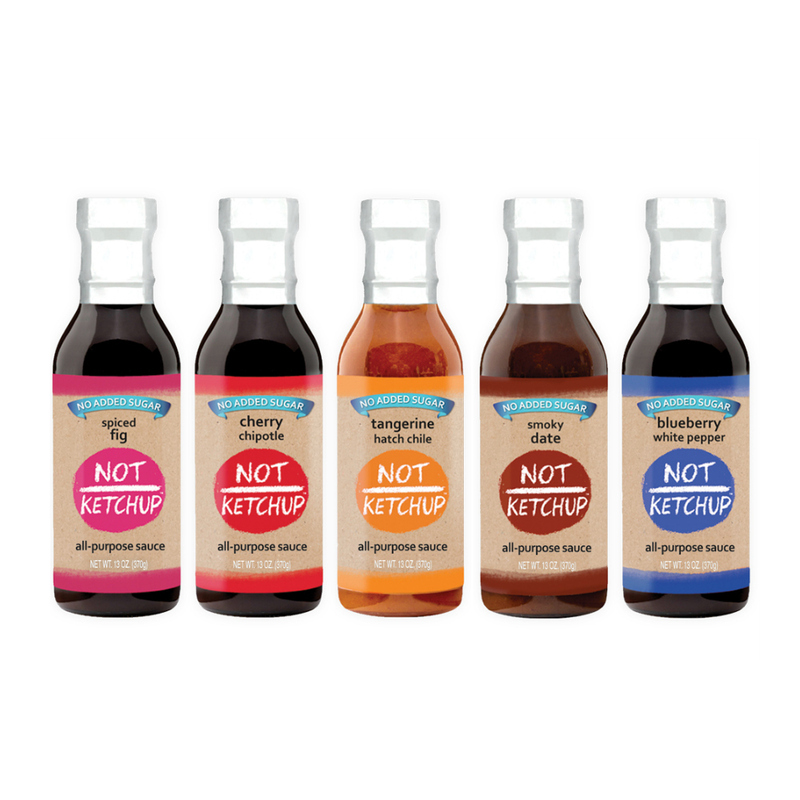 And then, of course, I include some Fruitchup, my delicious fruit-sweetened tomato ketchup (the best Paleo ketchup you'll find! ), which goes into the mixture and gets painted on top before the final shower of cheese. Low carb stuffed peppers are filled with ground beef, cauliflower rice and cheese, then topped with Fruitchup Paleo ketchup before baking. A delicious keto dinner recipe. Cut the tops off the bell peppers, then scoop out the seeds and ribs. Set aside.Heat the oven to 350 degrees. Spray a baking dish large enough to hold the peppers snugly (standing up).In a large bowl, mix together the ground beef, cauliflower rice, spinach, onion, spinach artichoke dip or cream cheese, 1.5 cups shredded cheddar cheese, 1/2 cup Fruitchup, and salt and pepper to taste. It's easiest to use your hands.Using a spoon or your hands, stuff each pepper with the meat mixture. Set the peppers in the baking dish. Spread the remaining 1/4 cup Fruitchup on top of the peppers, then sprinkle with the remaining 1/2 cup cheddar cheese.Bake the stuffed peppers about 1 hour, until the meat mixture is cooked through and the peppers are soft. Serve immediately. @Sippity when you make vegetarian stuffed peppers, what's in the stuffing?